We spend most of our lives forward bending: picking up stuff, eating at the table, using electronic devises, driving, sitting on a sofa, etc. And unless you do something to reverse the effect, all this results in a bad posture, which in its turn affects breathing, causes back pain, and affects mood. Backbends are that simple magical solution you need to prevent this from happening. They stimulate your sympathetic nervous system which is responsible for the ‘fight or flight’ response. One of the things we want to achieve in Yoga is bringing the energy up the spine and cleansing our nervous system. 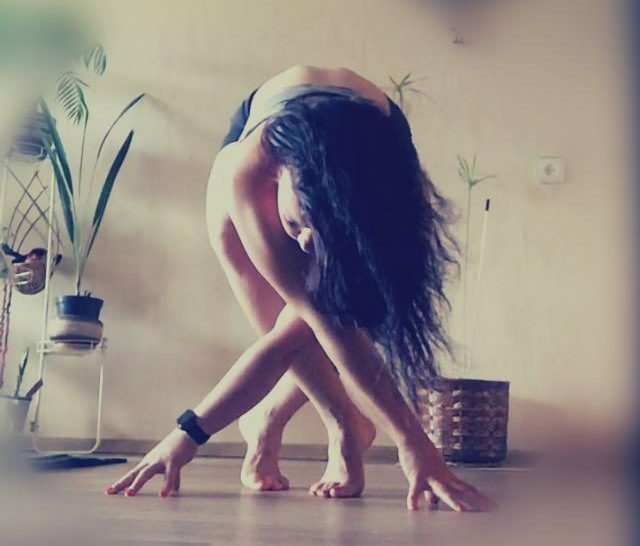 Backbends trigger blockages and once one of them is triggered you can experience a whole lot of emotions. We get agitated, excited or experiencing weird suppressed feelings and emotions as a result of this. This also happens because backbends stimulate and open the heart chakra – the mecca of suppresses emotions and buried feelings. Backbends do not have to be advanced, simple ones like Cobra or Cat/Cow Stretch is a great way to mobilise and stretch your spine. It’s also advisable to follow up with a gentle spine stretch to release and rest your lower back as it is mainly that part of your spine that will be mostly impacted by a backbend.